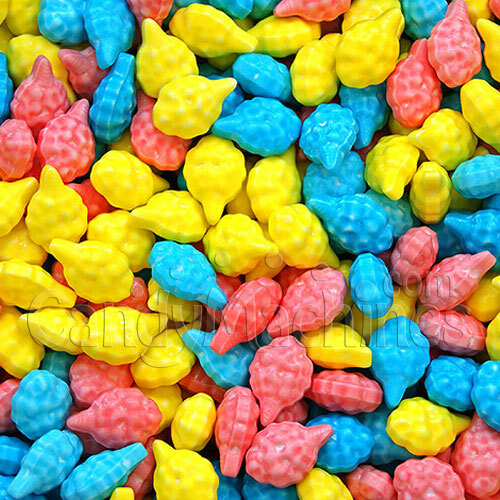 Cotton Candy Bulk Vending Candy - 9,200 ct. If you like Dubble Bubble Cotton Candy Gumballs, you'll enjoy these bite-size candy tarts that are shaped like cotton candy. Evoke memories of happy places like the carnival, circus, or fair with every bite of these sweet candies. Great for summer, beach, or children's themes. order one with an adjustable candy wheel dispenser to vend these candies. Made by Concord, these bulk vending candies are gluten free, made in a nut free facility, and OU Kosher Certified. This candy typically vends for 25¢ in commercial vending machines that have an adjustable candy dispensing wheel which controls the number of pieces that vend per quarter. They will also dispense in our gumball banks and candy dispensers. Candy stores best in a cool, dry, low humidity location. Their shelf life can be up to 24 months if not exposed to extreme hot or cold temperatures. from Sand Diego Cotton Candy Rocks! I have always loved cotton candy at the state fair so I tried these out and they were AWESOME!!! 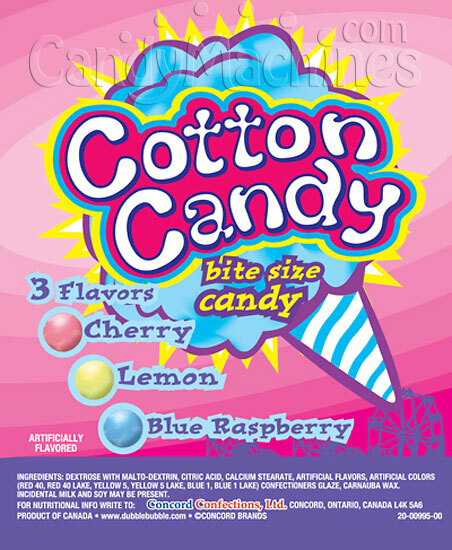 They taste so much like the cotton candy at the fair, it was amazing.